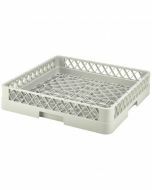 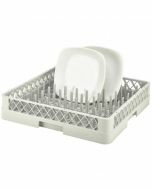 This range of dishwasher basket trolleys provides flexible storage for both clean and dirty dishwasher racks in your washroom area or professional kitchen. 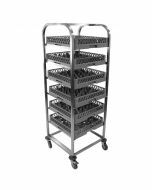 Available in a wide range of configurations including full height for storing up 7 baskets on the trolley, lower height models for better ergornomic access and a specialist glasswasher rack trolley that features an increased pitch to suit storing and transporting even the largest of glasses (particularly branded pint glasses). 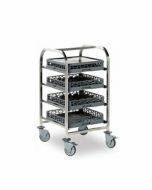 Manufactured entirely from high grade stainless steel, these high quality trolleys are great for every day catering.